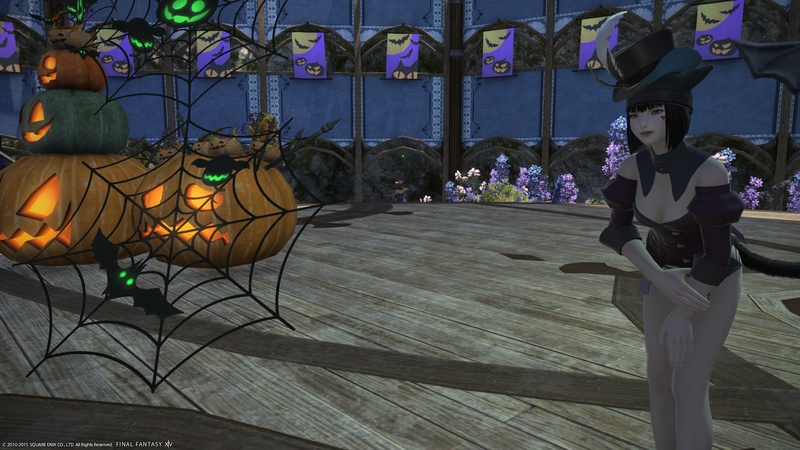 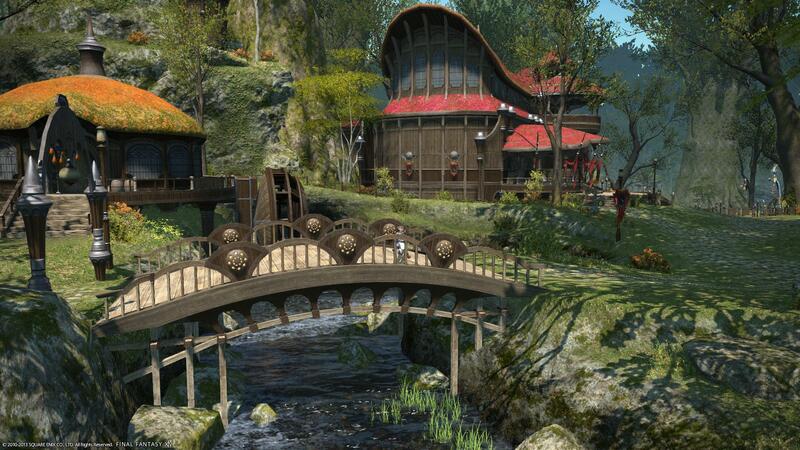 Crafters for the realm-famous Atelier Fen-Yll, the Leatherworkers' Guild boasts the finest tawers and tanners in all Eorzea. 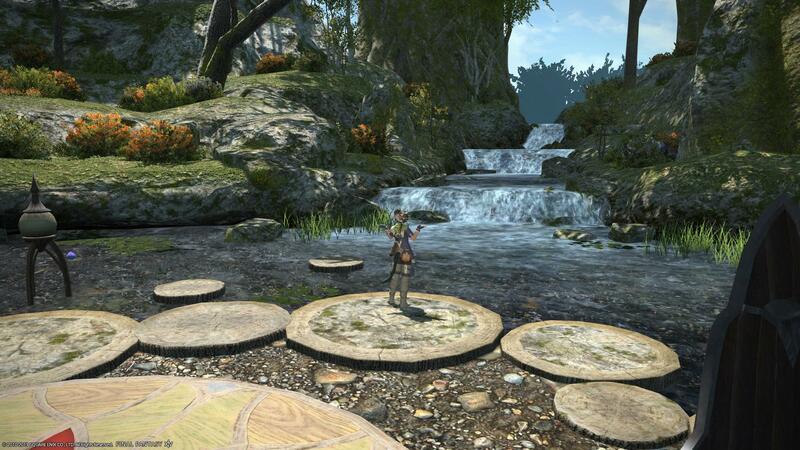 In recent years, the workshop has come to be known for its Geva patterns, which outline methods of working and cutting hides, pelts, skins, and furs in a way that honors the elementals within by minimizing waste. 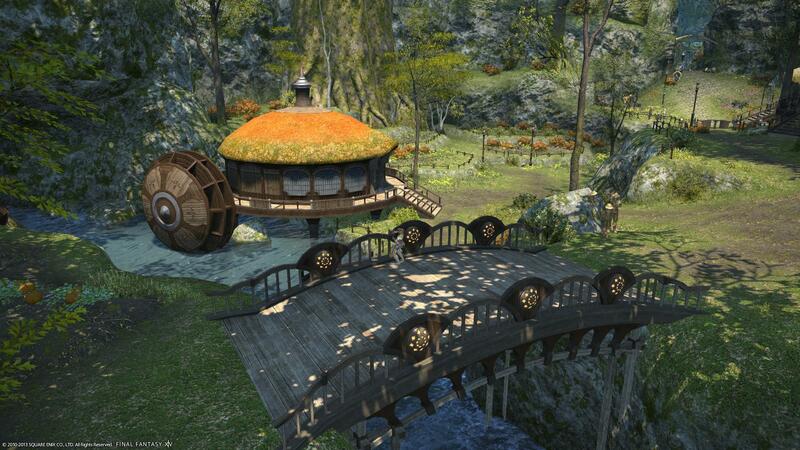 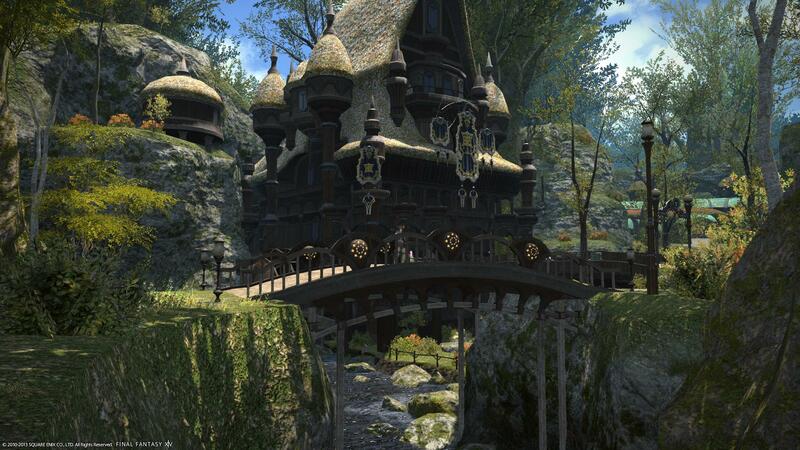 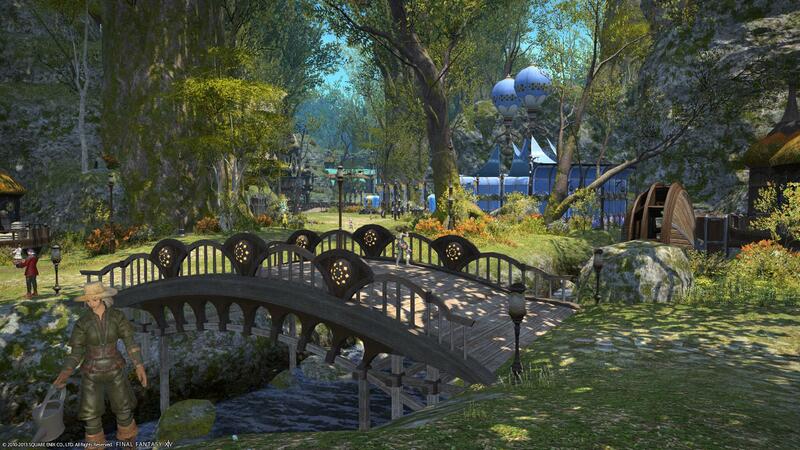 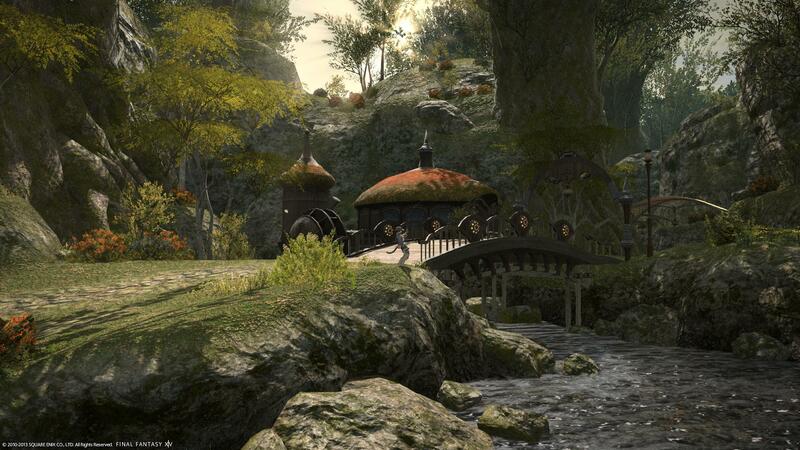 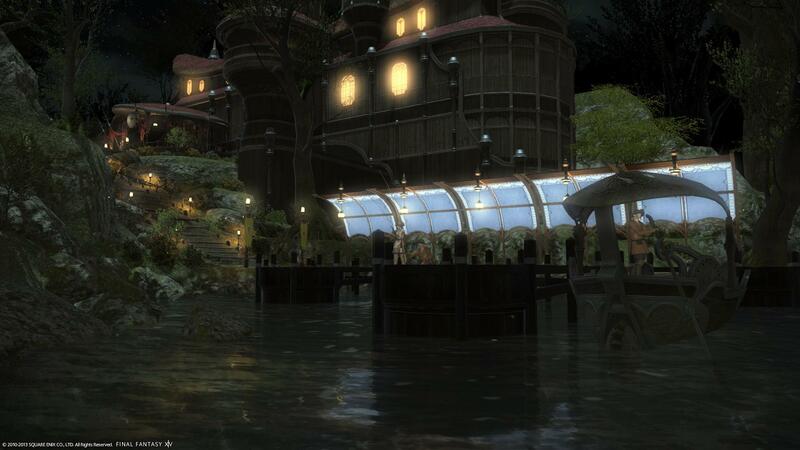 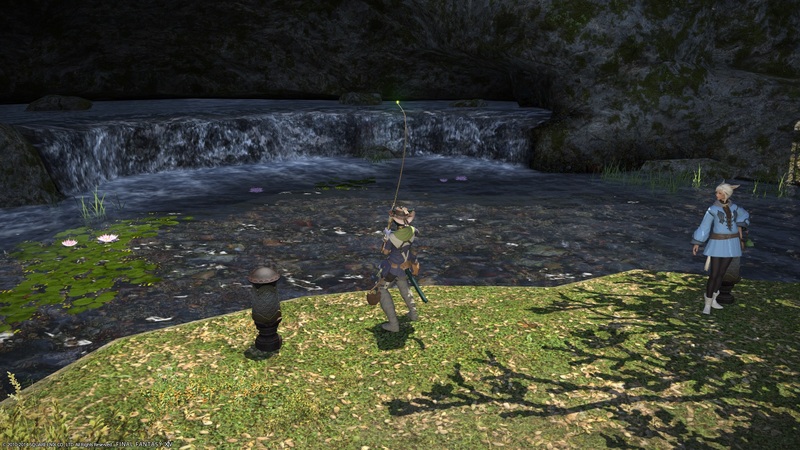 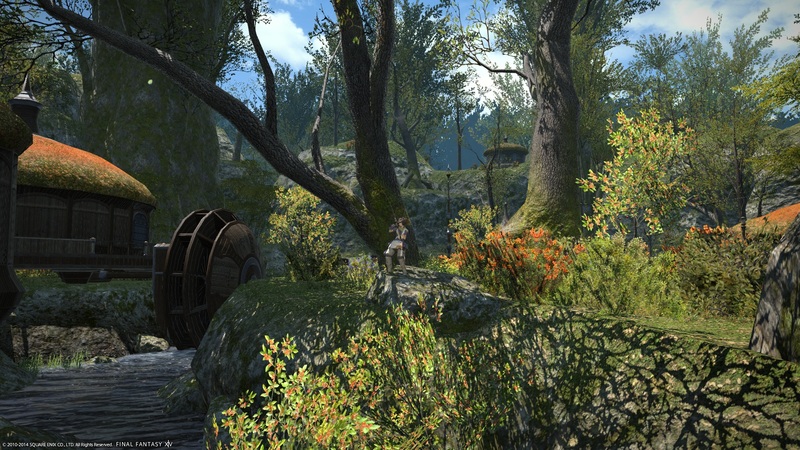 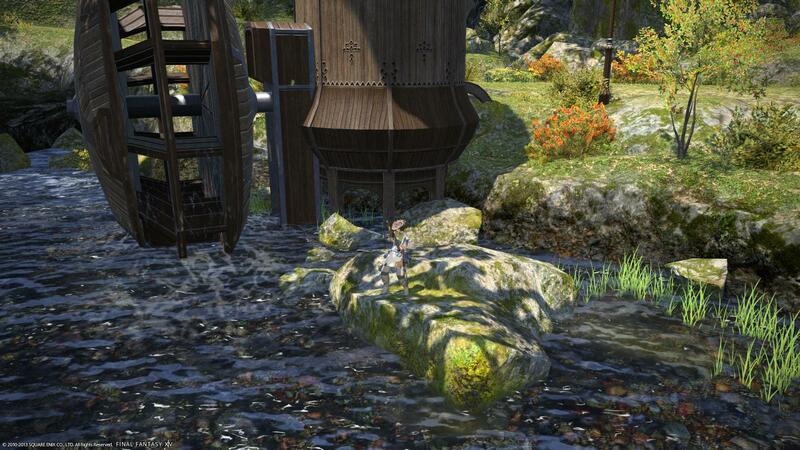 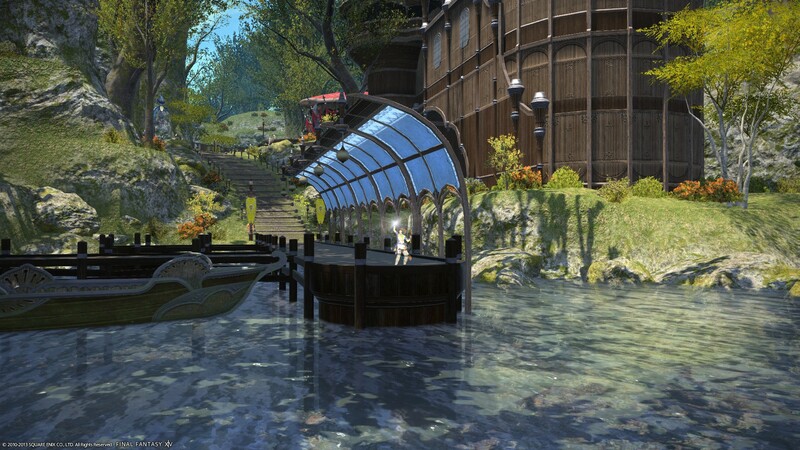 Named after a failed attempt by an ambitious Gridanian merchant to hatch and breed apkallus in the linn, Apkallu Falls is most remembered for serving as a place of meditation for the late Louisoix Leveilleur, Circle of Knowing Archon and hero of Eorzea. 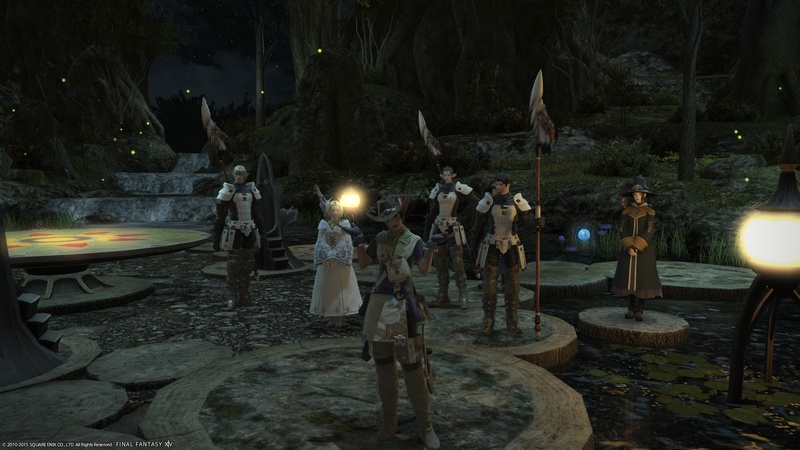 Founded by legendary Wood Wailer captain Mistalle, the Lancers' Guild doubles as a headquarters for those who keep the peace within Gridania, and the greater peace without. 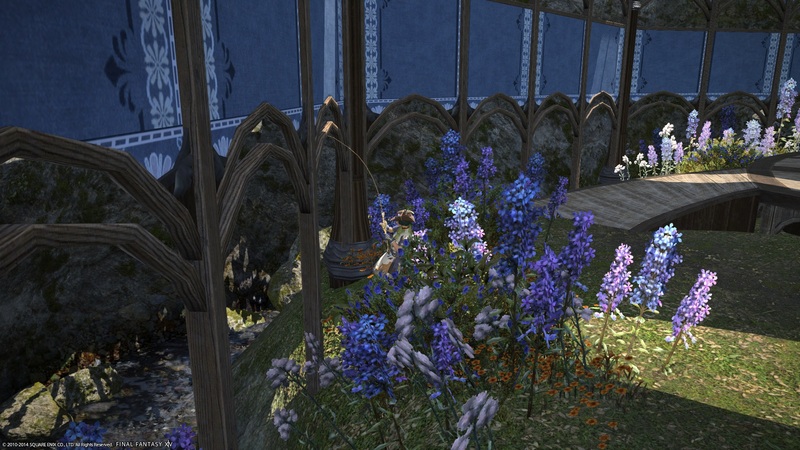 It is to these “Wailing Barracks” that people come with matters whose resolution requires a polearm's edge, and justice meted out to those who have wronged the forest or forestborn.